Having great leaders and a bench of future great leaders is the foundation for building and sustaining a great organization. Although this has always been true, never in recent history has the need for outstanding leaders been more acute than it is today. In today’s challenging economy, CEO’s and senior executive teams are facing enormous challenges when it comes to achieving and sustaining breakthrough operating results. Globalization, economic change, more stringent regulation, and tougher governance make realizing shareholder value increasingly difficult. In the midst of these massive challenges, all organizations– urgently, need leaders who possess both a strong “inner-core” of character and conviction and “outer-core” of leadership capability who can think creatively, but critically, strategize effectively and respond with speed and competence to high-pressure situations. But if its’ current leader identification and development practices do not change quickly, most companies will lack the sufficient executive strength needed to meet its’ operating objectives. Current succession planning programs and processes in corporate America today are insufficient to do the job. The gap between those in senior executive positions and those prepared to move into them is widening by the day. And just as Boards and senior executive teams are beginning to recognize the problem, they are running into new demographic and workforce challenges that make the leadership crisis all the more challenging. By some estimates, up to 40 to 70 percent of any organization’s management population is currently eligible to retire. While aging thins the ranks of senior executives, other forces have contracted the pool of those available to take over the reins. Changes in many organization’s pension systems are making it easier for executives to leave senior positions, while downsizing during the 1990s and 2000’s have deprived many organizations access to some of the best and the brightest. Therefore, the succession planning debate is not only about the numbers; the quality and state of readiness of those who will take over leadership is also at issue. A number of big and successful companies have taken action to upgrade their succession planning practices and address their leadership pipeline issues. Three companies that have made significant progress are GE, P & G, and IBM. Many others, such as FedEx, Office Depot and Navy Federal Credit Union have launched major projects to improve their succession planning practices. The record is mixed, however. In general, many large companies and most mid-sized and small companies are struggling with succession challenges. Most of America’s federal agencies, in fact, are in the same boat. Most are struggling with these issues. There is little question, considerable work remains to be done. Worthwhile programs such as accelerated leadership identification at the senior manager level are unsustainable if proper attention is not paid to the pipeline of talent currently filling those ranks. Such approaches can address short-term needs but tend to divert decision-makers’ attention from the critical task at hand—building a sustainable talent identification, development and retention process that accounts for the demands of an workforce. As part of well-crafted succession planning and leadership development programs, innovative practices such as job rotation, leadership development through coaching, mentoring, action-learning, and next-generation behavioral performance evaluation must all be considered. All of these practices, and other methods of identification and tracking of leaders, will be required to increase the speed with which organizations develop talent and close the widening leadership gap. On the bright side, some companies already have some of the tools they need to succeed. 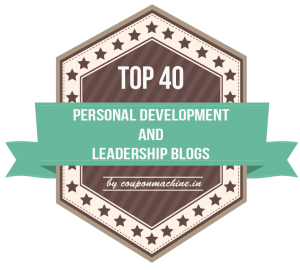 The challenge though is putting these and other innovative tools to use in a structured manner to build an enduring leadership succession program. One way to achieve this is by starting with a strong, compelling Succession Management Value Proposition. 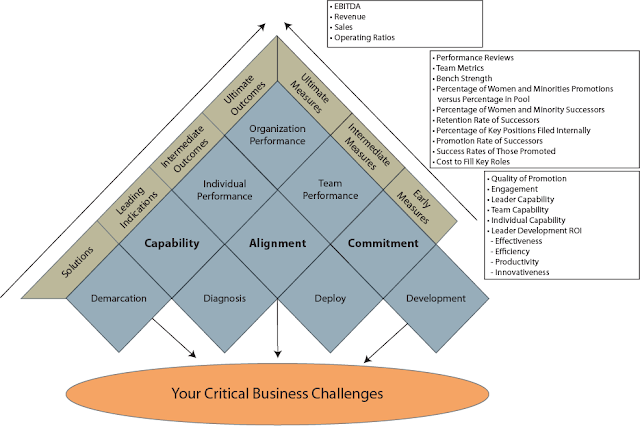 The “Stealth Fighter” Model offers a compelling, symbolic way to understand the predictive relationships that exist between critical human capital/succession management processes (the 4 D’s), critical “leading indicators” (capability, commitment and alignment—more on these later), intermediate outcomes and ultimate outcomes. The 4 D’s essentially act as the 4 turbo-charged engines that propel the “Stealth Fighter” towards its’ target—defined as an organization’s “Future Desired State” and the required leadership competencies to execute both the current and future business strategy. By way of analogy—if the 4 engines are “well oiled” and functioning at a high level (i.e., optimized) and working together (i.e., integrated), they will propel the “Stealth” towards its’ goal. In addition, their relative impact on multiple levels of organizational outcome—such as capability, commitment and alignment (leading indicators), intermediate outcomes such as individual and team performance, bench strength, percentage of women and minorities promotions versus percentage in pool, percentage of women and minority successors, retention rate of successors, percentage of key positions filed internally, promotion rate of successors, success rates of those promoted and cost to fill key roles (lagging indicators), and ultimate outcomes such as organizational revenue, profits and operating ratios. Regardless of the exact words used to capture a given organization’s SMVP, one thing is sure, the elements identified in the “Stealth” need to be well thought out, believed in, communicated, executed, and measured (assessed)—continuously. At its core, a great SMVP encompasses everything leaders and future leaders experience and receive as they are employed by the organization—including the degree of engagement they experience, their comfort and “fit” within the culture, the quality of leadership, the rewards they experience, etc. A great SMVP always encompasses the ways in which an organization fulfills the needs, expectations, and dreams of leaders. More than anything, a great SMVP clearly connects winning succession management practices to business and operating metrics. As was discussed earlier, there exists no better way to create the belief in the value of the human capital asset, than by demonstrating the connectedness between winning succession practices and operational success. The research is clear and compelling. The Hackett Group’s 2009 Talent Management Performance Study involving hundreds of Fortune 500 Companies and government agencies—gathered both qualitative and quantitative data showing enterprise financial, operational and process payoff’s from talent management. Organizations with the most mature talent management capabilities (i.e., the 4 D’s) had significantly greater EBITDA, net profit, return on assets, return on equity, and operational results than those organizations who were immature in their talent management processes. Additionally, mature talent management organizations had leaders who believed in the value of the human capital asset, were passionate about investing in building and growing talent, were relentless in their assessment of leaders, individuals and teams, and shared their human capital responsibilities with line managers and the Human Resources function. It is clear that organizations that excel operationally, excel initially with their human capital/succession management practices. They select and promote only those leaders and future leaders who demonstrate (as a result of performance and objective assessments) they have the highest probability of being successful; they benchmark and essentially “certify” (as a result of assessments) that leaders and future leaders have the capability, commitment and alignment required to execute strategy; they provide a rich, compelling, engaging and dynamic learning and performance support environment that motivates leaders and future leaders to become the best they can be; and they reward and recognize those who truly execute. A strong SMVP foundation leads to: (1) Capability-“Can Do”; (2)Commitment-“Will Do”; and (3) Alignment-“Must Do”. Great organizations excel in creating the belief that their leaders and future leaders have the “can do” (i.e., the skills, the talents, the behaviors) to execute; the “will do” (i.e., passion, motivation, drive) to execute; and “must do” (i.e., an overwhelming sense of connectedness to the culture, mission, strategy and values of the organization) to execute. To put in different words, a strong SMVP is the foundation for any organization to build and sustain a culture in which leaders and future leaders become continuously more capable, committed and aligned. In fact, organizations that excel in promoting and developing leadership talent—with a focus and unwavering commitment to optimizing these “leading” indicators—as indicated earlier—achieve impressive operating results. As I travel the globe, meeting with senior executive teams, coaching CEO’s and senior executives, and speaking to various management groups, it is clear to me that the world of business has very few outstanding leaders. Sadly, as I have observed President Obama and House Speaker John Boehner go “back and forth” in an apparent attempt to avoid the “fiscal cliff”, I am left with the inescapable conclusion that the U.S. Government likewise has few outstandingleaders. Things always start with the Chief Executive. And, in this case, it starts with President Obama. In the world of politics and business, there are many very good leaders, as well as a vast supply of good leaders. The distribution of outstanding leadership, like anything else, follows the shape of a bell-shaped curve. I have always known this. Everyone has always known this. But, few of us really cared because being a good leader generally has been accepted as “sufficient” to keep a position–or win re-election. Things are changing quickly, however–very quickly. The bell-shaped curve representing the even distribution of leadership talent in any organization no longer can be accepted as “sufficient”. It is mandatory that we–as voters, employees, stakeholders, customers–expect nothing short of consistent leadership greatness from our elected officials-including the President of the United States, CEO’s and all leaders. In a breakthrough executive trends global research study (2011) that I conducted with my colleague, Bonnie Hagemann, we clearly confirmed that identifying and developing high-potential and emerging leaders is and will continue to be one of the top business issues facing CEOs. In most organizations, 40 to 70 percent of all executives will become eligible for retirement in the next five years. In our increasingly knowledge-driven world economy, organizations are right to fear this imminent brain drain, suspecting that, when executives leave the firm, business may follow. Yet high-potentials and emerging leaders—those most likely to rise to fill those highest positions—account for less than 8 to 10 percent of the talent pool. That’s in the United States. In other countries, like Canada, Australia, the United Kingdom, Japan, and China, and in just about every country except India and various countries in Africa and South America, this issue is as pronounced as it is in the United States, if not more so. Therefore, identifying, developing, and retaining such rare talent truly is amission-critical global challenge for CEOs, senior executives, managers, and HR directors. 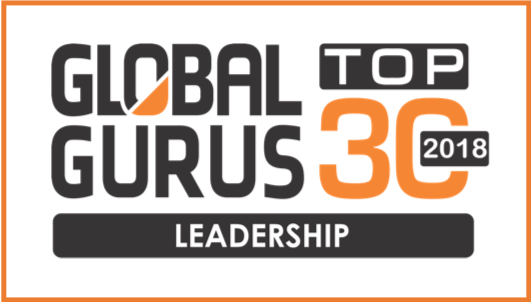 Given this indisputable global business challenge, the implication for current and emerging leaders is clear: The demand for outstanding leaders will soon surpass the current supply, and therefore, if you are a current leader or emerging leader, you will be able to capitalize on substantial opportunities if you are poised and ready. Regardless of your own desire to ascend the ladder, one thing is certain: All organizations will be asking more of their leaders; expectations, demands, and pressure will only increase, not decrease. The demand for truly outstanding leaders has never been higher, and organizations are raising the bar—as they must—in order to compete successfully on the global stage. 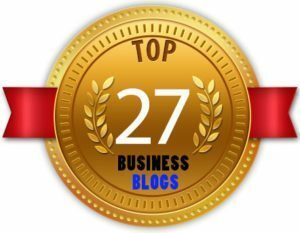 Where Are the Outstanding Business Leaders? As I travel the globe, meeting with senior executive teams, coaching executives, and speaking to various management groups, it is clear to me that the world of business has very few outstanding leaders. There are many very good leaders, as well as a vast supply of good leaders. The distribution of outstanding leadership, like anything else, follows the shape of a bell-shaped curve. I always knew this. Everyone has always known this. But nobody really cared because being a good leader has always been good enough to keep a position and meet its basic requirements. But things are changing quickly. The bell-shaped curve needs to be shaped into a negatively skewed distribution, in which all organizations possess a larger percentage of very good and outstanding leaders just to be able to compete. I had suspected the need for this critical shift for a couple of years, but it became very clear in 2011 as we were interviewing executives as part of our Trends in Executive Development Research Study (Pearson, 2011). Beyond the actual research, an interesting qualitative note emerged. When I ask executives to identify a great leader in their lives—someone who had a positive impact on them and helped shape their values—roughly 9 times out of 10, they mention a former teacher, coach, parent, grandparent, or friend, as opposed to a business leader. Unfortunately, the fact is that most of us in the business world can identify the poor managers we have had much more quickly than we can the great ones. Why is this? There is no clear answer; however, it is pretty clear that many managers are promoted before they are ready to assume leadership roles. They are not adequately trained, coached, and mentored by more seasoned executives, who often can share stories and insights to dramatically shorten a manager’s learning curve. More than anything else, I believe the speed and pace of change in business—technology shifts, demographic shifts, and a more demanding operating environment—present daunting challenges to most leaders. Frankly, very few possess both the strong inner core of values, character, beliefs, thoughts, and emotions and the set of outer-core leadership competencies that are truly required to successful overcome these challenges. In the end, too many executives are beginning to derail or have already derailed because of character flaws or perhaps just sheer immaturity. Two CEOs (one current and one former) are recognized worldwide as leaders who possess strong character, a strong inner core, and superlative leadership skills. The current CEO of Amazon.com, Jeff Bezos, founded his company in 1994 as an online bookstore. Bezos has built Amazon into the largest retailer on the Web, selling everything from groceries to electronics to shoes. Amazon consistently succeeds with risky new ventures, a success that Bezos credits to tenacity and obsession with customer needs. Excerpts from an interview in U.S. News, which David LaGesse conducted with Bezos in 2011, contained numerous examples of his strong inner core (i.e., character, values, positive beliefs, positive emotions, self-concept) and outer core (i.e., leadership competencies) that, together, form the foundation of what I refer to asleadership maturity. These are just three examples of extreme leadership immaturity. Character flaws clearly drove this unleaderlike and unquestioned illegal behavior. There are other numerous examples—executives, CEOs, senior executives, managers, and emerging executives (some of whom I have coached) who were skyrocketing one day and falling from grace the next. When character is involved—even the question of character—my experience is that the executive may never recover. When executives reach the pinnacle and then suddenly plummet, there are no limbs to break their fall; their drop is as swift as it is unforgiving. 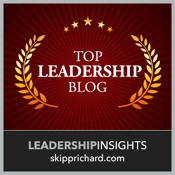 Senior executive teams often ask me what they should look for in identifying their high-potential leaders. My answer is always clear: They need to look for people who possess both a strong inner core and a strong outer-core set of competencies, which enable them to demonstrate the capability to develop, grow, and self-nurture to the level required for success at the most senior executive levels. The most critical thing to look for and measure, however, is character. The essence of character is undoubtedly multifaceted and complex. When working with executives who possess character, I see a lot of what we see in Jeff Bezos and Ann Mulcahy. When working with organizations to help them identify their high-potential and emerging leaders, I look for evidence that they are, at a minimum, courageous. I look for leaders who have the guts to make the tough but ethical decisions. I look for their willingness to sometimes stand alone, in the teeth of pressure (possibly even from their own managers) to go in a counter, sometimes less ethical direction. When coaching executives, I explain that saying no to the easiest and most rewarding route, when that decision doesn’t align with what you know is the correct one, may seem difficult. However, as soon as you begin flirting with such decisions—those that yield better operating results, greater revenue, and greater profits yet clearly compromise you ethically and morally—you enter a world of agony and stress. Making such choices will lead you into a world of painful long-term consequences, not the least of which is an increased probability you will say yes to more insidious acts in time. This is exactly what happened to Dennis Kozlowski. Great leaders—truly great leaders—have the courage to make the right decision every time. Great leaders also possess the character elements of diligence, gratitude, honesty, modesty, and loyalty. Leaders generally derail not because of a character flaw but rather because they respond immaturely to mounting stress and change. Leaders who are immature in their thoughts, beliefs, attitudes, and habits, however, are capable of recovering from their unleaderlike behavior, unlike the poor-character leaders in the previous section. For example, one of the most important traits of great leaders is what I call the Helpingtrait. Leaders who are selfless, giving, and altruistic are demonstrating the mature behaviors associated with the Helping trait. However, when their helping is done in an unauthentic way, with strings attached, they are demonstrating the immature behaviors associated with that trait. Great leaders also possess a mature Disciple trait. 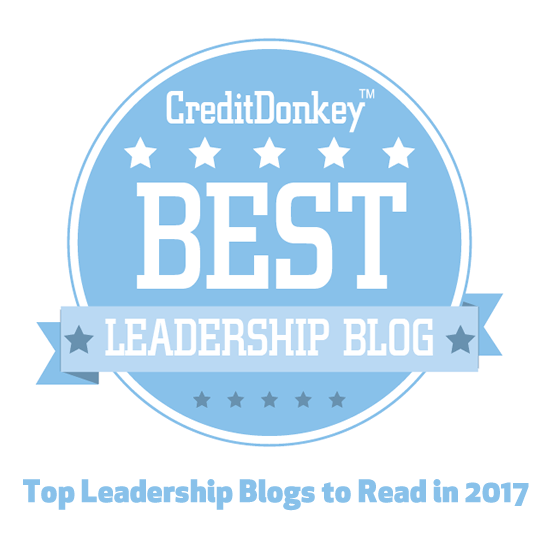 Leaders who can follow others and who value being part of something bigger than just themselves are demonstrating the mature behaviors of this powerful trait. When leaders demonstrate a lack of belief in themselves and do not think they are worthy of success and accolades, they are showing the immature behaviors of this trait. In later chapters, I will explain in detail the mature and immature behaviors associated with the nine critical traits that define the essence of leadership. 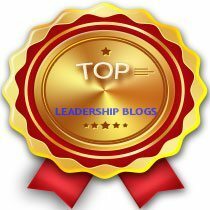 I have come to believe that organizations that do not compulsively develop their leaders and future leaders—through coaching, mentoring, executive development programs, action learning projects, and the like—unknowingly grow and multiply leaders with a high probability for derailment and failure. At a minimum, when an organization, leader, or future leader leaves things to chance, the probability of leader derailment or success is the same. With targeted coaching and real prescriptions for strengthening their inner and outer cores, however, leaders and future leaders can seize the considerable opportunities that await them. At the same time, they can successfully mitigate the enormous risks associated with the unrelenting pace and complexity of change they face in their part of the business world. These principles then, become the blueprint for helping you—the leader and future leader—build a strong, compelling foundation for becoming absolutely the best leader you can be. 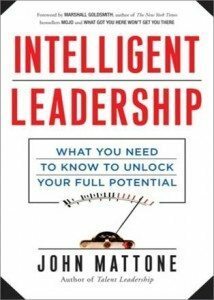 “Through countless interviews, extensive global travel, and years of consulting and coaching hundreds of organizations and leaders, John Mattone has developed a fool-proof method for identifying and developing leaders and prospective leaders. In his new book, John shares knowledge that took him three decades to amass. How fortunate that we can benefit from his wisdom simply by reading Talent Leadership”. There are books about talent management……but, your book is about talent leadership. Can you explain the difference between the two? The research I do in the area of talent and leadership development is the foundation of my writing, speaking, executive coaching and consulting. Our most recent global study was completed a year ago and was published by Pearson. My colleague, Bonnie Hagemann (CEO of EDA) and I interviewed and surveyed over 150 CEO’s and Heads of HR and Talent Management. We asked a lot of questions but the #1 issue cited by our respondents was their need to identify and develop future leaders. I have known this for years but of course it is always helpful to get corroborative evidence. If you are the CEO of a typical organization anywhere in the world—except India and a few South American and African countries—you actually are faced with two major issues: One, anywhere from 40-70% of your management team is expected to retire in the next five years; and second, when you look at your supply pool of available talent to take these critical roles, your Gen X population is in massive short supply and your Gen Y population is too young and not ready. In some respects it is a global demographic issue but, most importantly, our research clearly identified that the main issue is that most companies are not doing a good job looking deep into their organizations at younger individual contributors who possess the capability to become great leaders and future senior executives. There is massive leadership talent “hiding” in most organizations and these people need to be identified and developed. My book addresses this issue “head on”. I wrote the book for heads of HR and talent management but also CEO’s and senior operating executives so they can start creating and implementing a stronger strategic approach to talent so ultimately they can mitigate operating risk and drive breakthrough operating results. There are some good books out there on “talent management”; however, I wrote “Talent Leadership” to help organizations strengthen their talent management practices—the “nuts and bolts” of talent management as a means to unlocking and unleashing talent—current and future leaders—to drive impressive operating results. Tell us how organizations can drive impressive “bottom line” results by strengthening their talent management and leadership development practices? When I meet with CEO’s I like to ask them what they think their organization’s number one differentiator is. 80% of the time, they say “It’s our people. It’s out talent”. Approximately 20% of the time, they will say “It’s our brand, products, services, databases, technology….and, eventually they will get to people”. I then examine their operating metrics. It’s interesting that those CEO’s who identified talent as their number one differentiator…their organization’s seem to outperform on average those organizations where the CEO did not identify people as their number one differentiator. It’s interesting to note that empirically there have been many outstanding studies (e.g., Boston Consulting Group, PwC, Hackett group, Hay Group, and my own company) that clearly identify the powerful predictive relationships between an organization’s talent management practices and operating results. The problem has been that nobody has offered a roadmap and model to help organization’s “connect the dots” to driving superior operating results by strengthening their talent management practices. In Talent Leadership I provide that roadmap and model. I call it my “Stealth Fighter” Model, since it resembles a stealth fighter airplane. The “Stealth Fighter” Model provides a clear roadmap to helping organizations strengthen their talent management practices, thereby strengthening what I refer to as the “leading indicators” of driving breakthrough operating results: leadership capability, commitment and alignment. You write about great leaders having a strong “inner-core” and “outer-core.” What do you mean by this? In order for leaders and future leaders to become the absolute best leaders they can be, they must possess a strong “inner core” and “outer core”. Inner Core (IC) includes critical attributes such as self-image, character, values, beliefs, positive thinking, healthy emotions, and behavioral tendencies. Outer Core (OC) reflects those critical skills and competencies that all leaders must execute in order to be successful, such as: critical thinking, strategic thinking, decision making, change leadership, emotional leadership, team leadership, etc. A leader who has a strong IC has a much higher probability of possessing a strong OC. In fact, a strong IC will drive a strong OC. Great leaders—the best of the best—possess both a strong IC and OC. When I coach leaders and emerging leaders I work from the “inside-out”, meaning I look for strengths and development needs initially in their IC. These attributes tend to be enduring and also most challenging to change, however, once addressed they become great leaders. There is a “bridge” that connects a leaders IC and OC—it is the bridge of possessing executive maturity (i.e., learning agility, people agility, and mental agility) and versatility to be able to read situations and people correctly and then adjust their style and approach accordingly. 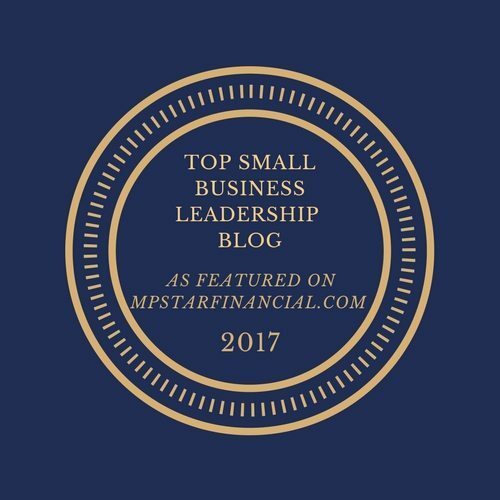 You wrote a popular blog post recently about CEO succession and role boards play in responsibly preparing for and choosing new leaders. Why do so many fail to do their due diligence? What should organizations be doing to mitigate their risk? Prescription before diagnosis is malpractice in medicine. In business, the principle seems to apply equally as well in the world of operating decisions such as divestiture, acquisition, capital expense, etc. However, when critical talent decisions need to be made—whether they involve CEO or senior executive succession or deciding who is a high-potential, many companies fail to apply this principle. It is my contention that in the world of talent and people decisions, that most organizations are not doing sufficient “due diligence” and are, in fact, engaged in malpractice. At the root of the issue is the faulty belief that the best predictor of future performance is past performance. That is the issue. In fact, the skills and competencies that may serve an executive well at their current level may not serve them well in their next role at the next level. Often, given the pace of change, there is little relationship that exists between the competencies and skills required for a leader to be successful in their next role as compared their current role. Marshall Goldsmith has written about this. “What Got You Here, Won’t Get You There”. Organization’s that hold to this faulty belief end up making many succession and high-potential mistakes. There is an over-reliance on subjectivity, perception and “hear-say” and my own research has proven this. Clearly, organizations need to become much more passionate and diligent in the use of assessments that measure a leader’s or future leader’s capability,commitment, and alignment to excel in their next role. You end your book with what you call your “Twenty 2020” Concept….can you explain? Promote leaders and identify future leaders and position them in the leadership pipeline based upon the relevant competencies required for success. Identify at least two candidates who are “ready now” and two “future” candidates for each mission—critical role throughout the organization. Promote “top shelf” executive talent which is vetted using multi-method executive assessment. 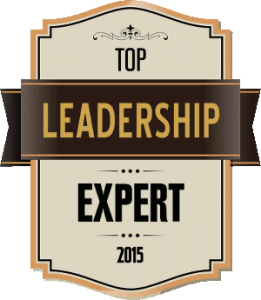 Talent Leadership vs. Talent Management? I just finished being interviewed by Dave Summers, the host of AMA Edgewise, about my new book, Talent Leadership: A Proven Method for Identifying and Developing High-Potential Employees. I will make the entire audio file available in the next few weeks. Dave asked me a number of excellent questions, but I wanted to address his first question as part of my blog post. 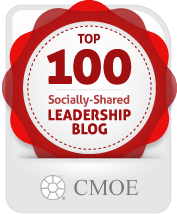 Dave asked me, “What is the difference between Talent Leadership and Talent Management”? There are a few outstanding Talent Management books out there. Most focus on strengthening an organization’s talent management “nuts and bolts”. Talent Leadership: A Proven Method for Identifying and Developing Future Leaders while also focusing on the “nuts and bolts,” addresses the issues I have discussed in this blog “head on”. This book is geared for leaders of human resources and talent management as well as CEO’s and senior operating executives as many of the ideas and concepts will help all organizations mitigate their operating risk going forward and help them achieve stronger operating results. Along the way, as a means to achieving breakthrough results, leaders and future leaders become stronger, more vibrant, effective professionals, leaders and people. CEO Succession: Where’s the “Due Diligence”? Where’s the Coaching? Here’s the background. You are the chairman of a One-Billion Dollar multi-national internet company with a strong brand. Your company is best known for its web portal, search engine, and social media website services. Your company’s revenue and income have been “flat” since 2008. Your company has had five CEO’s in the past five years, one of whom was asked to resign for falsifying his resume. You and other members of the Board have had an interim CEO running the show for the past few months but it is now time to hire a permanent CEO. You and the Board decide it is better and more prudent to hire from the outside, even though your company has a number of outstanding senior executive candidates who have been with your company for years and who have been “tested” and “rounded” as solid, experienced leaders. You and the Board decide to approach a highly visible candidate who is currently a vice president and not a member of the senior executive team from your chief rival. You have targeted a young, talented technology guru who is bright and driven. You offer her the CEO role and she accepts on July 16th, 2012. The company I am referring to is Yahoo, Inc. The Chairman I am referring to is Fred Amoroso. The new CEO is 37 year-old Marissa Mayer. Let me state from the start that I do not know Fred Amoroso, anyone on the Board at Yahoo, or Marissa Mayer. I wish her the absolute best in her new role and I want her to succeed. Nobody can question her capability as engineering whiz and technology guru. Both of these statements, unfortunately, reflect a lot of what is happening in the world of CEO succession. If I had had the opportunity to advise the Yahoo Board prior to making their decision, I would have said, “Yes, you need a CEO who possesses an unparalleled track record in technology and product execution, but, most importantly, you need a CEO who has demonstrated the capability and experience to motivate, engage and unleash the massive leadership and individual talent that exists at Yahoo. I would have advised the Board of the need for performing “due diligence” to determine if Marissa Mayer or any other candidate for that matter, had the capability to lead Yahoo. In my experience as an advisor and coach to the C-Suite, I have witnessed the tendency for Boards and senior executive teams to be overly subjective and rely too much on “instincts” in making critical promotion and hiring decisions. When subjective views of a leaders’ capability, commitment and alignment “win-out” over objective views (i.e., using assessments and in-depth interviews), especially in making CEO and senior executive decisions, there are a lot of mistakes. According to Bloomberg, CEO hiring and firing is at an all-time high. In my research and consulting work with senior teams, companies don’t hesitate performing “due diligence” when they are making acquisition or divestiture decisions; but when it comes to CEO hiring, there is comparatively very little “due diligence” being done. I try to guide senior teams to recognize that mitigating operating risk and ensuring their competitiveness has much more to do with the quality of their CEO than anything else. If I had the opportunity to coach Marissa Mayer, I would suggest to her that in addition to “bringing dedicated products, content and personalized experiences to users and advertisers all around the world,” that she must create a powerful, compelling work environment that motivates, challenges, engages, and unleashes talent. I would suggest she meet with other CEO’s from other companies in other industries to learn how they think and operate. I would suggest she meet Anne Mulcahy, former CEO of Xerox. Here’s why: When Mulcahy took over Xerox in 2000, she delivered a blunt message to shareholders, “Xerox’s business model is unsustainable. Expenses are too high and profit margins too low to return to profitability”. Shareholders wanting easy answers to complex problems, started to dump their shares which drove Xerox’s stock price down 26% the next day. Looking back on that dark time, Mulcahy admitted she could have been more tactful, however, she decided that it would be more credible and authoritative if she had acknowledged that the company was broken and dramatic actions were needed. When Mulcahy was named CEO, while she had been with the company for 25 years and knew the company well, she quickly acknowledged her lack of financial expertise. She quickly enlisted the treasurer’s office to tutor her in the fine points of finance before meeting with the company’s bankers. Her advisors declared her to file bankruptcy to clear 18 billion in debt, but Mulcahy resisted, telling them, “Bankruptcy is never a win”. In fact, Mulcahy thought that using bankruptcy to escape debt would make it more difficult in the future for Xerox to compete seriously as a high-tech player. Instead she chose a much more difficult and risky goal: “restoring Xerox to a great company again”. To gain support from Xerox’s leadership team, she met personally with the top 100 executives. She let them know honestly how dire the situation was and asked them if they were ready to commit. A full 98 out 100 decided to stay and the bulk of them are still with the company today. As we reflect on Mulcahy’s actions you see numerous examples of her executive maturity: character elements of honesty,modesty, humility and courage; powerful sense of vision; empowering others; and passion, drive and incredible zeal. 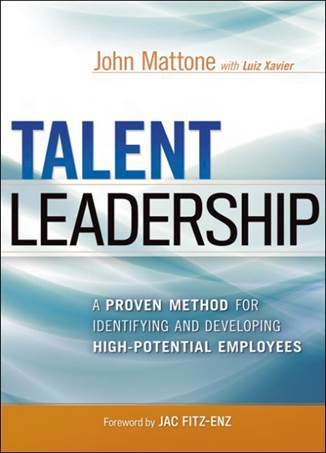 In summary, as I state in my new book, Talent Leadership: A Proven Method for Identifying and Developing High-Potential Employees, for companies to successfully mitigate operating risk going forward they must: (1) do a much better job hiring/promoting executives at all levels—especially the CEO level; and (2) do a better job coaching and developing executives at all levels—especially the CEO level. Yahoo, Inc., is no exception. 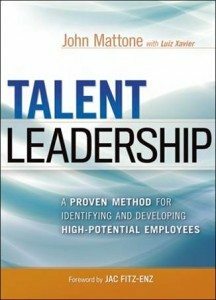 Talent Leadership: A Proven Method for Assessing and Developing High-Potential Employees is written for leaders of HR, talent management, OD/MD professionals, and the vast population of operating managers who are charged with identifying, managing and developing high-potential and emerging leaders. Talent Leadership is a research- and empirically based book that uses my Stealth Fighter Model as the foundation for explaining the predictive relationships that exist between an organization’s leadership assessment and development practices and their achieving ultimate operating success. Using assessments to benchmark current and future executive talent. Leveraging accurate assessment data in the form of targeted development through the use of coaching and other means. Understanding the difference between performance and potential, accurately differentiating talent on both, and achieving significantly greater operating results as measured by EBITDA, net profit, and other critical operating metrics. 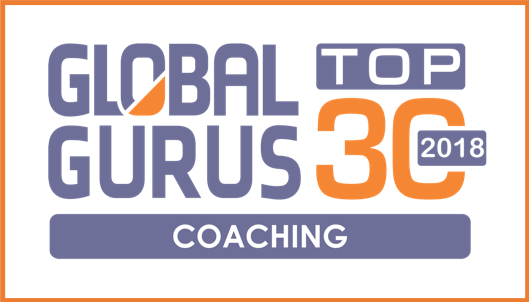 This book contains the best of what I have learned in my 30 years as a human capital and leadership consultant, executive coach, and industrial psychologist. 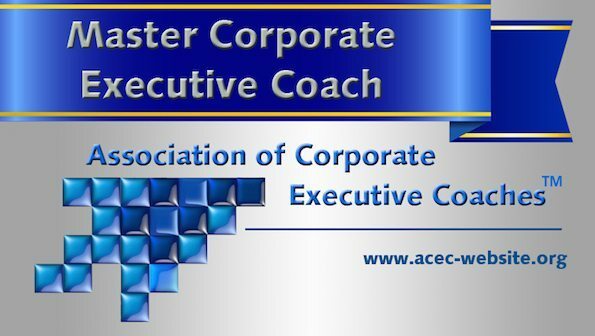 I have included a number of best practices, case study examples, authoritative research, practical assessments, as well as a variety of practical tools and models to equip you, the reader, with the knowledge, skills, and passion to become superior HR leaders who are acknowledged and respected by their operating peers as critical drivers of operating excellence. Great leaders, by virtue of their Capability create, in turn, a culture for their employees and teams in which they become more Capable, Committed, and Aligned. These three magical elements are called Leading Indicators; they predict operating results. Therefore, it is vital that organizations measure, calibrate, and recalibrate their current and future leaders on these Leading Indicators and leverage this calibrated data and information using executive coaching anddevelopment. Understand and articulate the numerous internal and externaltalent management challenges your organization encounters. Understand and articulate the relationship between the relative strength of your leadership assessment and development practices and your ability to successfully combat any internal or external challenge. Understand and articulate the predictive relationships that exist between leadership assessment and development systems and practices; key leadership Leading Indicators; individual and team performance; and ultimate operating metrics. Establish a common language, vocabulary, and set of principles for establishing a powerful talent management mindset and culture in your own organization. Understand and apply the skills and techniques that will enable each HR and operations leader to excel in the execution of superior leadership assessment, coaching and development practices, and systems. Understand and apply the skills that will enable each HR and operations leader to better calibrate leadership performance and potential. Understand and apply the Psychodynamic Model of Executive Maturity (the Enneagram) as an important foundation step for identifying a leader’s predominant leadership style and level of executive maturity (the key to engaging in powerful coaching conversations). Understand and apply the principles of assessment data integration—connecting the dots and aggregating compelling assessment data. 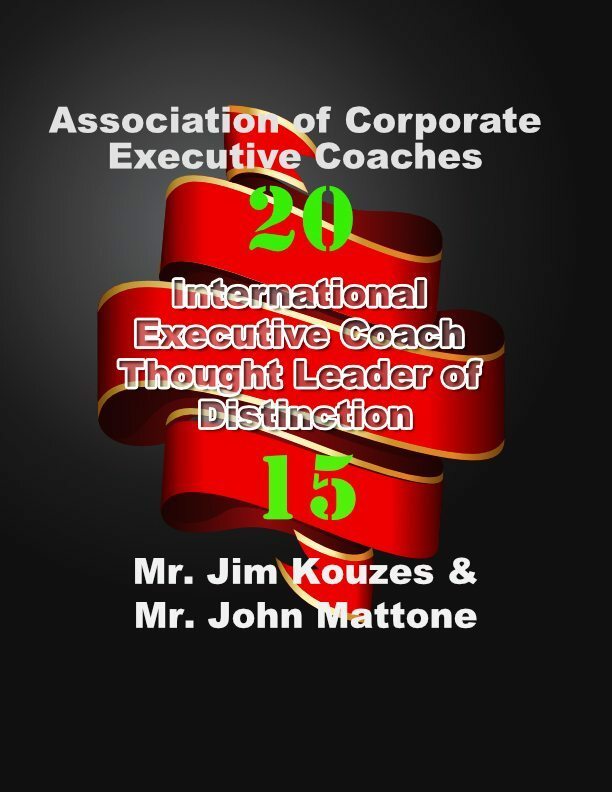 Understand and apply the principle of coaching from the inside out, that is, coaching leaders to understand their inner core values, references, self-concept, and essential “character” as a foundation for driving empowering thoughts, behavior, and winning results. Develop and commit to a personal action plan designed to increase each HR and operations leader’s success as a Talent Leader. This engaging and insightful program is based on John Mattone’s “Trends in Executive Development” research published by Pearson, the world’s leading education company. This program is geared for CEO’s, leaders of HR and operations, and future leaders. 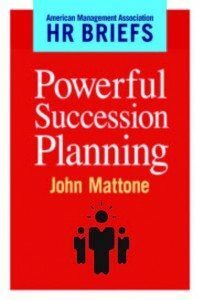 Mr. Mattone’s research is widely regarded as one of the most authoritative and respected global research studies in the field of leadership development. John Mattone’s Twenty 2020 concept offers a powerful and compelling look at the future of talent management and executive development. The Twenty 2020 concept identifies the critical 20 leadership development and talent management practices that must be implemented and executed immediately by any organization to successfully mitigate their operating risk and ensure their survival and viability-through the year 2020 and beyond.